Due to the diagonal path of Kingsway, it makes for some interesting buildings lining the street from start to finish. 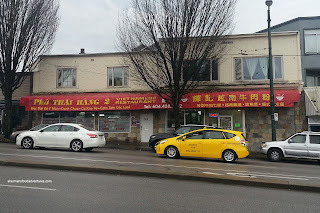 One particular location is the building that houses the second location of Thai Hang Vietnamese. Essentially 2 storefronts combined into one, the odd triangular shape makes for a strange dining space. 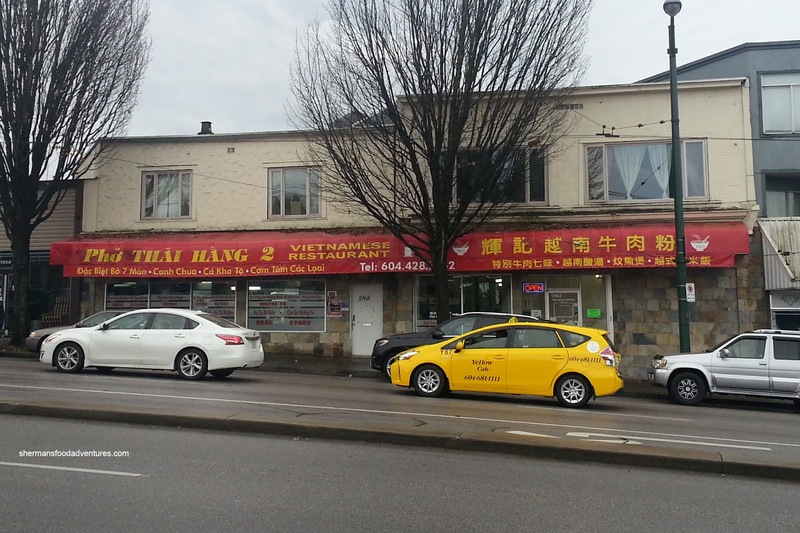 This was especially true for its past tenants such as Red Fort and Khyber Pass. Trying to get the attention of the wait staff was nearly impossible as they were in a separate room. Well, we weren't too concerned with service or the odd shape of the restaurant when we stopped in for a quick bite. In fact, I don't recall ever being that picky with any Vietnamese restaurant since they often take over other restaurants. We started off with the Butter Garlic Wings that sported a thin almost tempura-like batter. Hence, the exterior was lightly crisp while the skin was not rendered at all. 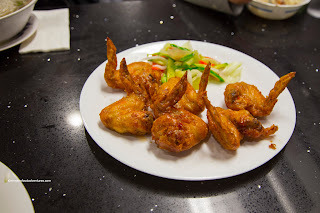 The good news was the juicy and well-seasoned meat underneath, but the rest of the wings were not very flavourful. For my main, I tried the Luc Lac Beef which was pretty bland. 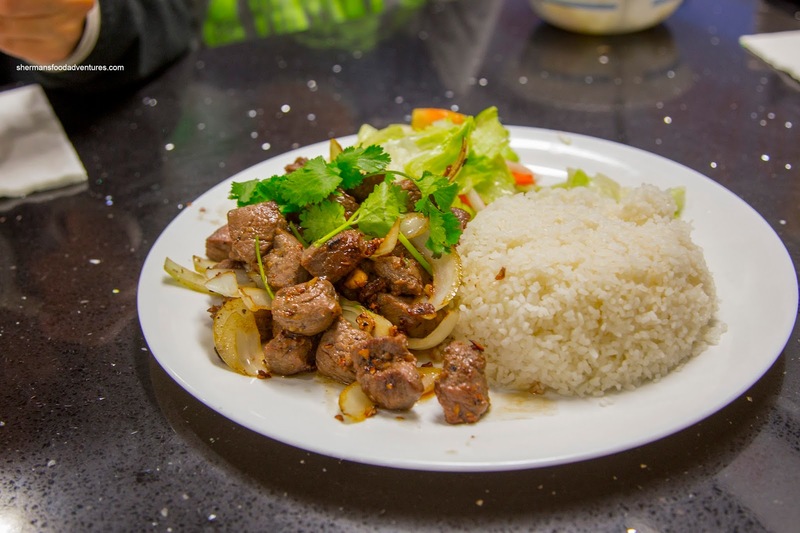 There was very little impact and flavour while the chunks of beef were rather chewy. The version at Phnom Penh kicks this one in every way. 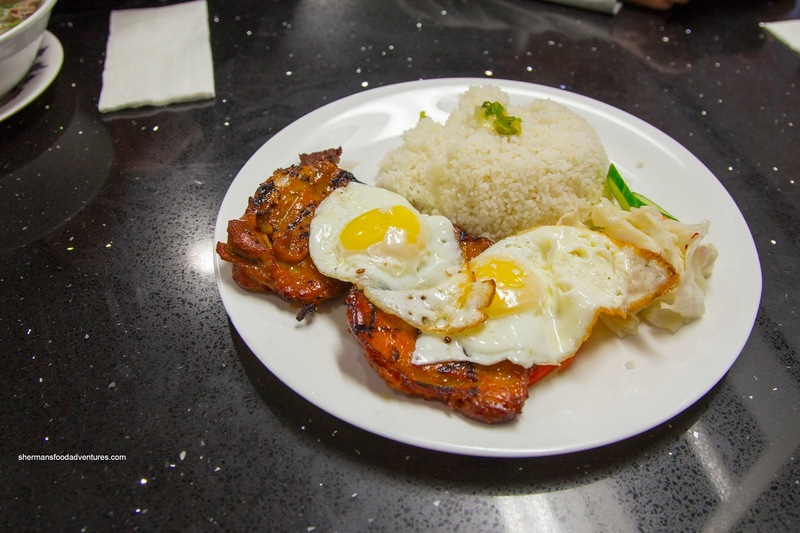 The kiddies shared the Lemongrass Chicken with Rice (where we added 2 fried eggs). This was a pretty good dish consisting of sweet charred chicken that was sufficiently moist. On the other hand, the lemongrass was definitely overwhelmed by the amount of sugar used in the marinade. 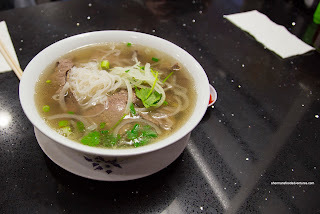 Of course we also got an order of Pho which featured a very mild broth that was lightly sweet. It could've used more meatiness and maybe more star anise. Meats were okay though. I guess that pretty much sums up the food here as the real draw is their Bo 7 Mon. That will be another day and I'm sure will be more exciting than the meal we had this time.